This tri-lingual styling extends to all of the messages on the package including directions and tips. The main reason for the changes in package design is to ensure that lures older than 3 years are easy to identify. Many closeout buyers will purchase the end lots of moth traps and sell them as "brand New", which technically they are because the lures have never been opened. But the lures are still older and should be easy to ID as older lures. Enjoy the new packaging, but mostly enjoy a top quality Moth Trap and being Able to Catch pantry moths more reliably with fresh lures. Moth Traps Package designs tend to be used for 3 or 4 years, this is true of the 2014 design which was only first introduced in August of 2014. While the design doesn't change, the pheromone lures / bait is always the freshest for each production run. When possible buy moth traps from a supplier that purchases directly from AP&G. This will ensure the most recent moth traps and lures are the ones you'll receive. As before don't be 'lured' by discounted older traps, sure the package design means nothing to the moths, but the freshness of the lures makes all the difference. 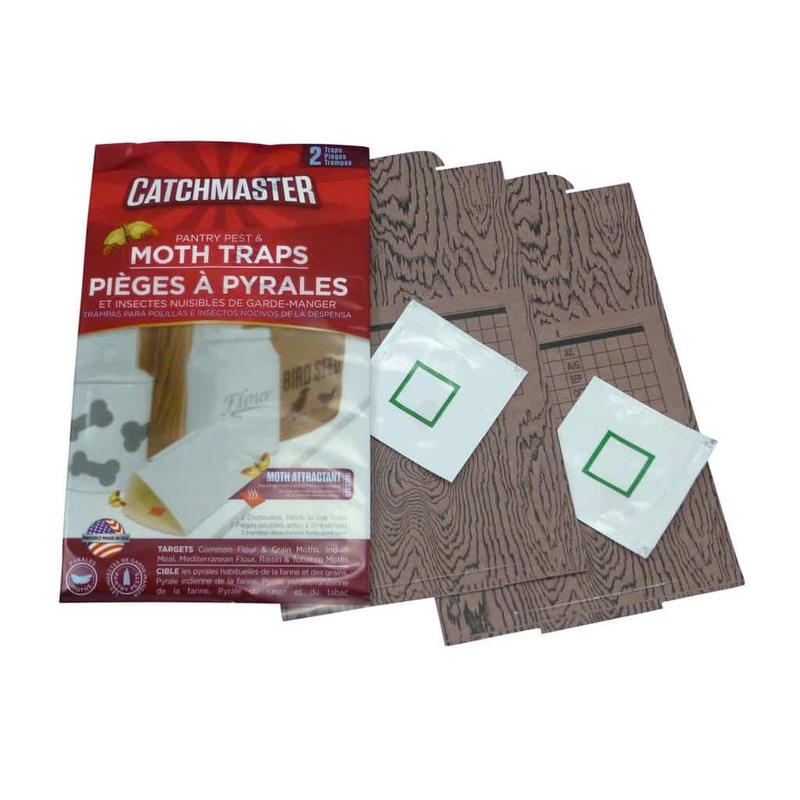 This entry was posted in Ask Traps Direct, Moth Trap Blog and tagged Catchmaster Moth Traps, Fresh Pheromone Lures, moth pheromone trap, moth traps. Thanks for explaining the differences... I was on Amazon and saw the old orange traps being sold all over the place. Good to know that they were old closeouts... I'll only get the red traps now.